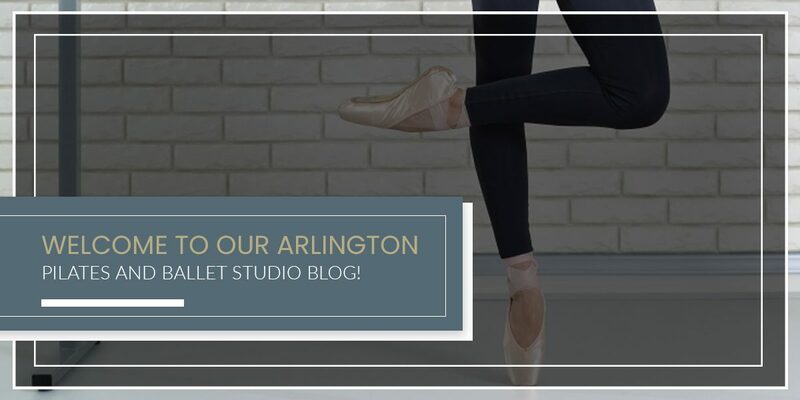 Welcome To Our Arlington Pilates And Ballet Studio Blog! If you’re here visiting our recently re-designed website, then we’d like to cordially welcome you to our blog space. Along with our new website itself, we’re incredibly excited to enhance the digital experience of our visitors with fun, insightful, and relevant articles about all things ballet, barre, Pilates, and more! As those who have walked through our studio doors are well aware, Core Allegro is a ballet studio in Arlington, VA that was started by Olga Roberts. As a professional ballet dancer and a master Pilates instructor who studied ballet at the Rambert School of Ballet in London, Olga is passionate about what she does. She sought to provide Arlington and the greater Washington, D.C. area with a modern studio space designed for aspiring ballet dancers, Pilates enthusiasts, barre class goers, and those looking to improve their fitness through dance and refined movement. Core Allegro is proud to have a team of dedicated and knowledgeable coaches who are as passionate about their craft as Olga is. Combining classical ballet techniques with contemporary dynamic conditioning, Olga’s barre classes will challenge your body and stimulate your mind. Expect our barre classes in Arlington to be a complete fitness workout! With the help of Cadillac equipment, our multidisciplinary approach to refined Pilates will strengthen your core and encourage you to focus on your breathing, acting as a conscious workout that’s equally challenging and rewarding. If the inherent grace, poise, elegance, and strength of ballet is something that appeals to you — but you’re not sure where to start or how to get involved — our adult ballet classes in Arlington are for you! Designed for students who don’t have any prior ballet (or dance) experience, our adult ballet classes offer the perfect chance to learn the basics of ballet in a friendly, non-judgmental environment. Again, no previous ballet experience is required or expected to join one of our adult ballet classes. Come stretch it out with us! As modern science denotes, there’s a growing correlation between stretching and the alleviation of stress, and our deep stretch classes take advantage of this finding. Whether your goal is to reduce or eliminate chronic pain or tension in your body, increase blood circulation, or quiet your mind in through deep breathing in a meditation-like fashion, our deep stretch classes in Arlington can certainly help. At Core Allegro, we offer more than classes for beginners and burgeoning experts. We also offer a full-scale Pilates teacher training course in the form of a two-year intensive study. With a Certification of Advanced Teacher from Pilates Education and Research, combined with potential job opportunities from our extensive Pilates network, we can help accelerate your career in the Pilates world. Learn more by visiting the link above. While our adult ballet classes are geared toward the novice ballet student, our private ballet coaching and mentoring services in Arlington are designed for those who are extremely serious about a career as a ballet dancer. Our expert instructors are here to provide the one-on-one attention you need to excel as a serious ballet dancer. If you’re not extremely experienced but you possess some ballet dancing experience, you can still benefit greatly from our ballet coaching services. Get Started With Core Allegro! There’s an ineffable but distinct allure to ballet dancing, and we’d love to build upon our passion as seasoned ballet dancers to help you improve. From Pilates core strength conditioning to our ballet-friendly barre classes, we’re ready to help strengthen your mind, body, and spirit. Are you? Learn more about our prices, upcoming class schedule, or about us as a company. Contact Core Allegro if you have any questions! Check Out Our New Client Intro Package!